What can I say. 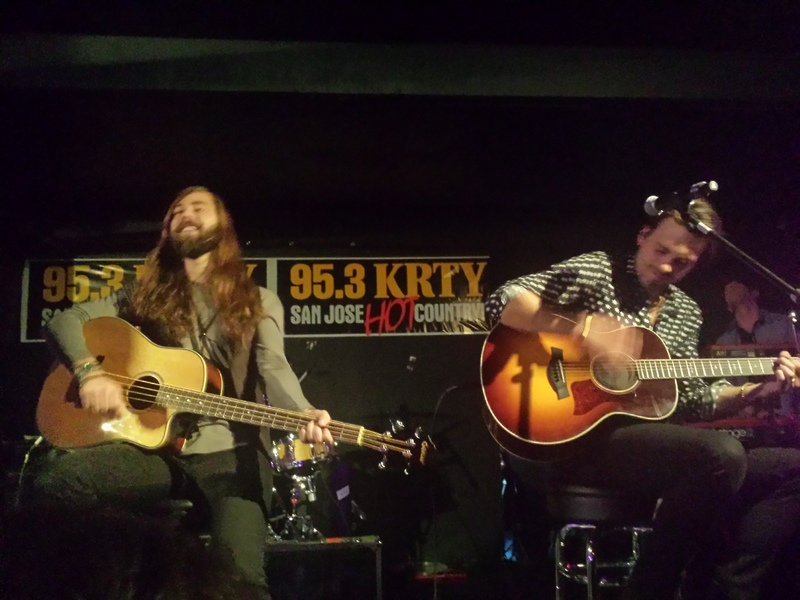 Another KRTY concert at the Rodeo Club…another INCREDIBLE night of live music in the South Bay! Frankly, I got lucky this time around. I usually know a few weeks in advance when I’ll be able to catch a show in San Jose, based on my travel back and forth from Portland, Oregon. 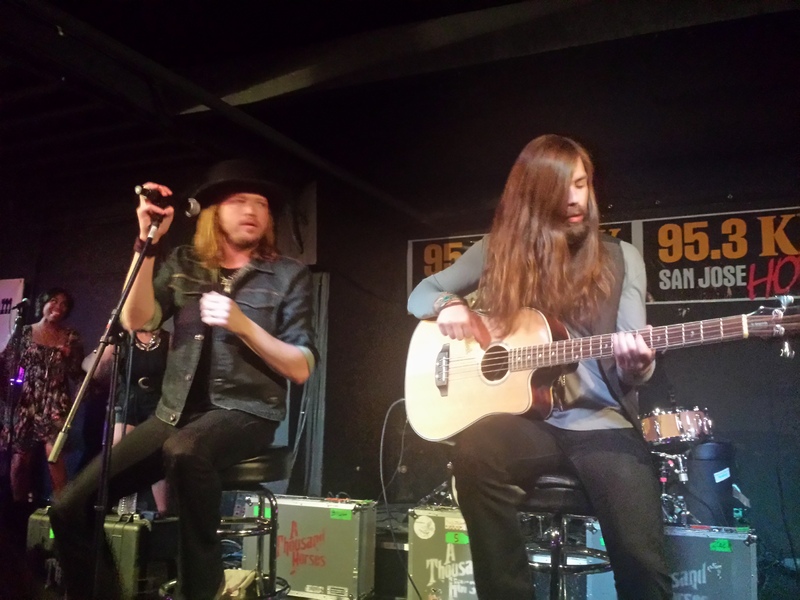 But this time, I learned the night before that I’d be in town and there was no doubt in my mind that I had to catch local singer songwriter Toree McGee, and one of my favorite, up-and-coming bands, A Thousand Horses. Literally, these guys are THE band to watch in 2015 (see further comments later). To say that I was excited by my last minute change in travel plans doesn’t do justice. This is the second time I’ve caught Toree McGee at the Rodeo Club. Last time she was the opening act for Clay Walker. On top of her own songs, including “Run Right Back to You”, “Might as Well be Us” and “Amen” (which has consistently been in the KRTY Hot 9 at 9 the past few weeks), she pulled off a great cover of “Kerosene” by Miranda Lambert. Who doesn’t like a great sing-a-long to end a set? If you haven’t checked her out before, do so now. Also, make sure you keep up with her via her website or follow her on Twitter and Facebook for her latest news and concert schedule. Also, props to Mr. Gary Tackett, a guitarist and manager who’s worked with the likes of Merle Haggard, Billy Currington, Vern Gosdin, Eddy Raven and Tammy Cochran, who I had the opportunity to catch up with after the show. Thanks for making the trip back down to San Jose y’all! I said it before, and will say it again, this is THE band you need to watch, follow and support in 2015. 2014 may have been the year of the horse, but 2015 WILL BE the year of A Thousand Horses. From their look (see photo above) to their sound, A Thousand Horses can only be described as a mix of Lynyrd Skynyrd, the Allman Brothers and The Black Crowes. Not sure how else to describe them, but that should give you a good idea of what to expect when you take a listen to their music. I’ll say, though, that they have the benefit of pulling all of their classic rock talents together in a modern-country sound. Is there anything wrong with that? I don’t think so! 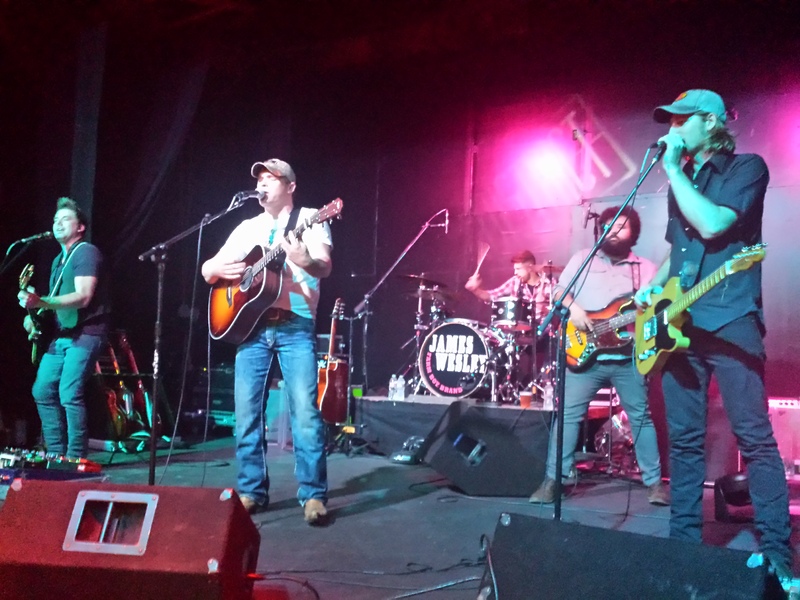 Their new single, “Smoke”, is heading straight to the top of the airplay charts at radio stations across the country, and should be firmly on your playlist right now! The folks at KRTY have had “Smoke” in regular rotation for quite some time now, and as always, Nate Deaton, Julie Stevens and the rest of the crew (Randy Jones, Indiana Al etc…) have their finger on the pulse of what’s going to be hot in country music well before anyone else. On top of “Smoke”, the band ran through a mix of some older tunes, as well as some new music off their upcoming album “Southernality”. Three of my favorites, “Tennessee Whiskey”, “Trailer Trashed” and “(This Ain’t No) Drunk Dial” were featured on the set as well as the catchy “Landslide”. The Wednesday night crowded was also treated to two great covers of Tom Petty’s hit “I Won’t Back Down” and The Black Crowes “Hard to Handle” as their encore. Certainly another couple of highlights of the evening. Don’t miss them this summer on tour with Darius Rucker, Brett Eldredge and the Brothers Osborne. Trust me. They won’t be an opening act for long! Don’t say I didn’t warn you. 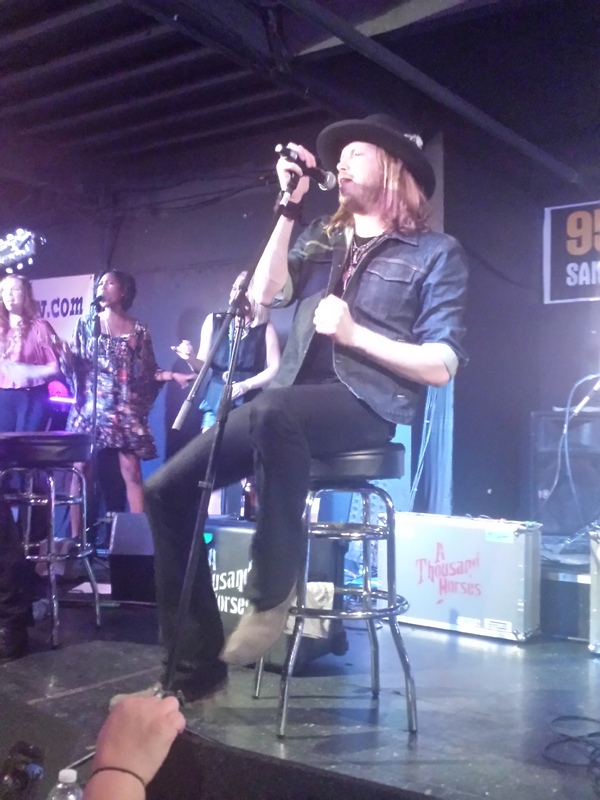 I know that I sound like a broken record, but if there is one new band you NEED to see in 2015, it’s A Thousand Horses. To keep up with the band, new music and tour news, make sure you check them on Facebook and follow them on Twitter at @AThousandHorses. Did you go to the show? 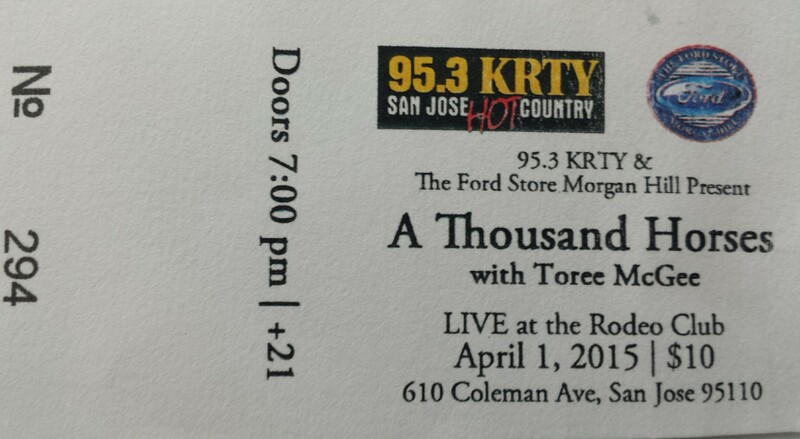 Have you ever seen Toree McGee or A Thousand Horses live? Please share your thoughts and comments below. Feel free to share this review as well! I must confess, when I stumbled upon Hillbilly Vegas a few weeks ago, I didn’t know what to expect. As I looked at the name, I imagined Duck Dynasty meets the guys from Pawn Stars. In reality, after checking out their website, and listening to a ton of their music, I’ve found them to be more of a mixture of Blackhawk, Bon Jovi and John Mellencamp. Sounds good, right? They intrigued me and I can say that I’ve been listening to their upcoming single, “Long Way Back”, on repeat for the last 8 hours straight (and I’m still not tired of it). From the vocals of lead singer Steve Harris, to the guitar work of Johnny Reed, as well as the rest of the band including Troy Hollinger, Robb Edwards and Stacey Thornburg, this song, which was co-written by Harris and Reed, is destined to be a hit. Before I get to the music, let me start with a little background. “Long Way Back” is a very special song for the members of Hillbilly Vegas. According to the band, the upcoming video is going to be used by an organization known as Battle Saint who works tirelessly raising money to build treatment facilities for PTSD and traumatic brain injuries in returning veterans. The Zac Brown Band and the creators of HBO’s Band of Brothers are also supporters of the organization. The soon to be released video for “Long Way Back” will feature the great things Battle Saint does along with a number of veterans and their families. I, for one, can’t wait. Judging by the description above, this obviously isn’t a song simply about graduating high school and getting out of town as fast as you can. There’s a lot more to it than that, and that’s why “Long Way Back” is indeed a special song. While the melody and the music pull you in, it’s the lyrics that hooked me, and reminded me of my adolescence and my own struggle, wanting to get out of where I was. They say the grass is always greener, right? In the end, I knew it would be a long way back, and I still haven’t gotten there just yet. I think a lot of us can relate to that.I grew up in Petaluma, California, which was about 30,000 people when I lived there. For the most part, we had two roads in and out of town, and both were just two lanes. It’s a symbol of old town America, the towns we grew up in. Remind you of your teen years growing up? I don’t care how large your hometown was, it never, ever felt like anything was going on. You always needed to be somewhere else. Where the girls were. Where the parties were. Certainly, not there. It’s funny how your perspective changes once you get out. Once you see the world. The good. The bad. The scary. Makes you think about how safe, and enjoyable, your hometown really was. While I never served, many members of my family did across a number of branches of the military. I’ve also seen it in movies where the boy heads off to battle, only to return, afraid that she’s no longer waiting for him. I can’t imagine the heartbreak. But I think that there’s a double meaning here. What about the soldiers who return who aren’t just afraid of the girl they loved and lost, but that everyone has forgotten about them. What about their kids birthdays they missed. Anniversaries. Graduations. The list goes on and on. These men and women give up everything to protect us. They should NEVER be forgotten. Ain’t that the truth. I know that if I could do it all over again, and I could go back and live my life in that small town, I would. Not sure why I wanted to get out so fast. Maybe it was the small town atmosphere. Maybe it was looking for my freedom. Either way, I miss that small town life. I’ve tried to bring it back by moving to a small town here in Oregon, but it’ll never be the same as my hometown. I can’t imagine the feelings that the men and women of the military have when they return home. After a year, two years or more. Away from their families…their friends. It might be a long way back, but I’d never want to leave again. A good song…you’ll remember. A great song…you’ll never forget! “Long Way Back” is certainly the latter. It’s a well written piece of lyrical genius with plenty of emotion to make you want to put it on repeat (like I did) and listen over and over again. This isn’t a fly-by-night song that you’ll hear on your local station a few times, only to disappear into the abyss. “Long Way Back” has staying power. It’s different than anything I’ve heard recently on country radio, and that makes it special. This is the type of song that takes a band like Hillbilly Vegas and pulls them from obscurity, and puts them directly in the center of the country music map. 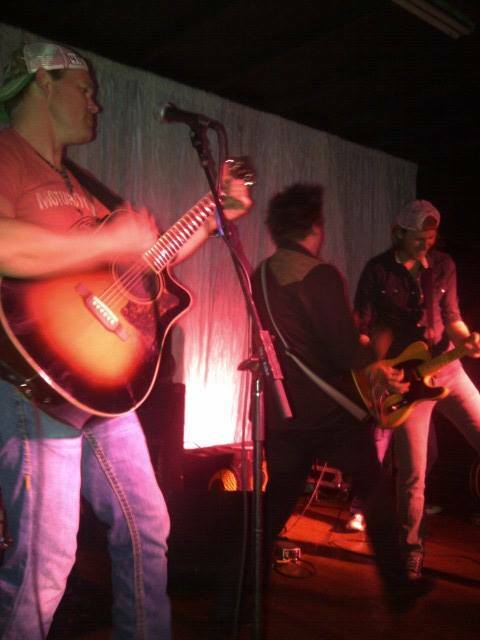 When you get the chance, check them out on Facebook and follow them on Twitter at @hillbillyvegas. 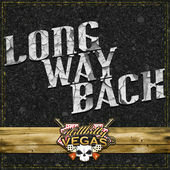 You can also find “Long Way Back” on iTunes and Amazon.com. The song comes out next week (November 6, 2014) and I suggest you take a listen today. You won’t regret it! As most of you know, I love to go to concerts. Lots of concerts. Country concerts…rock concerts…punk rock concerts…you name it! I guess it’s pretty obvious if you’ve listened to me talk for even five minutes. I’m proud to say that I’ve seen them all, across genres: Kenny Chesney, Brooks & Dunn, Florida Georgia Line, Zac Brown Band, Tim McGraw, Blink 182, Green Day, Pearl Jam, Metallica, U2, The Rolling Stones and the list goes on and on. So if I were to tell you that I went to one of the best concerts I’ve ever been to, then you’d probably stop and take notice, right? I can honestly say that in all of my 35 years, I can count on one hand how many times I’ve been to a show that seemed to have as much energy as there was at the Rodeo Club in San Jose, California, on Friday, November 22. I wonder if Chevon and Christine would agree with me? The gang together at the show! 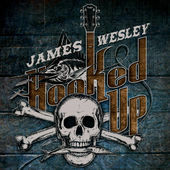 Ladies and gentlemen, if you don’t know him already, go take some time on YouTube (or below) and check out Broken Bow recording artist James Wesley. If you can only catch one show in 2014, this is the guy to see. Dead serious! OK, maybe not just James. Marshall Weidner, Jesse LaFave, Neil Alexander, Michael Blakemore and Eric Burgett are all pretty damn good too. For those of us who follow country music closely, this man is already known. With hits such as “Real”, “Didn’t I” and “Thank a Farmer”, James has been getting airplay for quite some time thanks to stations like KRTY (but definitely not enough airplay and I can’t stress this enough!!!). 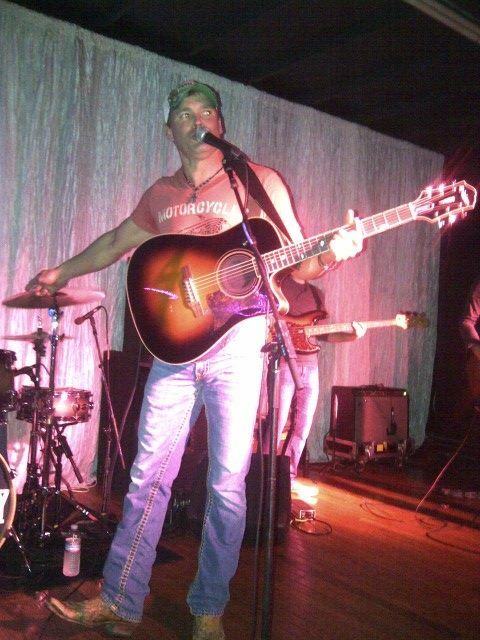 His videos have reached the top of the GAC charts and if you see him in concert just once, you’ll be hooked. 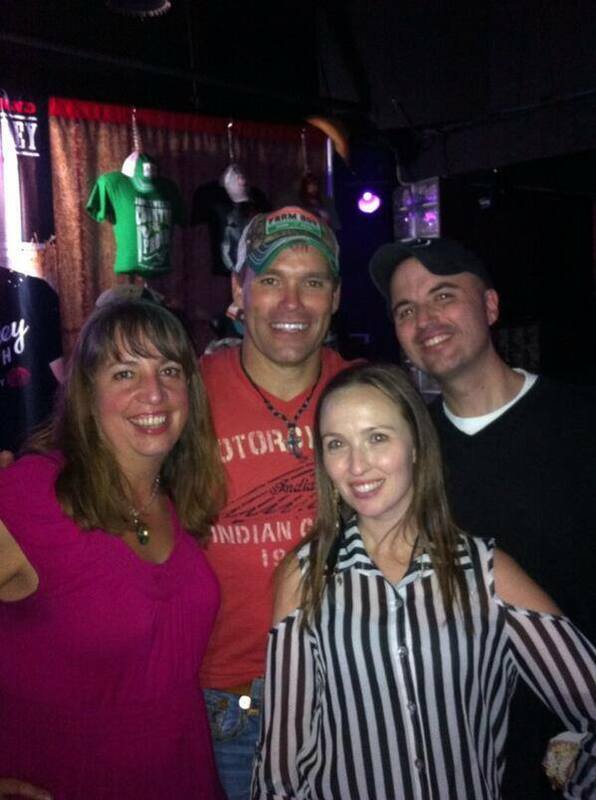 James Wesley and I after the show. James is a traditionalist which I find rare in country music these days. He’s also passionate about his music…and his fans. He writes his own songs and he plays his heart out each and every time he takes the stage. During his show in San Jose, he mixed his own music with the sounds of Hank Williams Jr., Merle Haggard, George Jones and Johnny Cash. 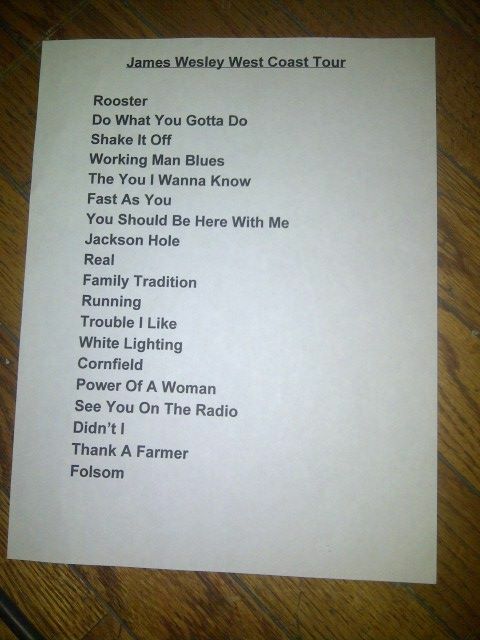 I’ll admit, anytime you can absolutely NAIL “Folsom Prison Blues” and “Family Tradition”, you’re doing something right! I think one of the best parts of the show was the opportunity to hear new songs that haven’t made it on the radio yet. There are a few songs that I expect to be hits in 2014 including “Running”, “The You I Wanna Know” and “You Should Be Here with Me”. I really wish I would have shot some video because I’d love to share these songs with you, alas my phone was dying and wouldn’t allow me to. 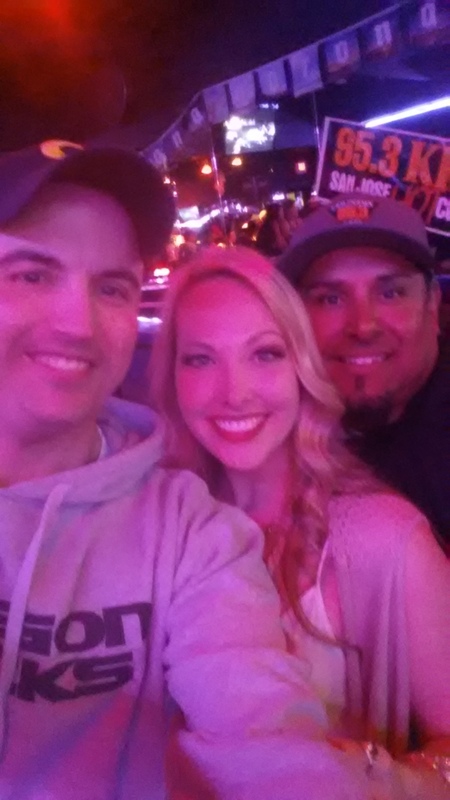 “Running” (co-written with Marcum Stewart and Zac Wrixon) is the one that stuck out in my mind as the one that should be the clear-cut radio hit next year (do you hear that Indiana Al at KRTY???). I think I probably live-Tweeted that thought multiple times during the show. Loved both the lyrics and the beat. And now for my favorite part of the evening. Following the show, James does what a lot of other artists don’t…he spent hours meeting, talking to and taking photos with his fans. 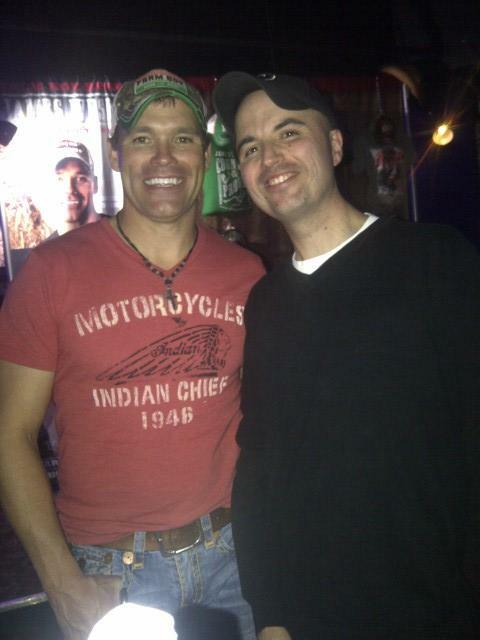 I’m lucky enough to have had the opportunity to meet James via Twitter (@jameswesley1) last year and have had a number of conversations with him over the past few months. You don’t realize that sometimes, just sometimes, artists are exactly the same in-person as they appear online. James truly is one of these people. He doesn’t pull punches. He’s as friendly in-person as he is on Twitter and really makes every effort to get to know each and every one of his fans. I wish more artists would follow his lead. I’ll say it again: if there is one artist that you see in concert in 2014, make it James Wesley. From the stage presence, to the music to the time he spends with his fans, it is not just a concert…it’s an experience. A “Real” experience that music lovers of all ages and genres will enjoy. You won’t regret it! 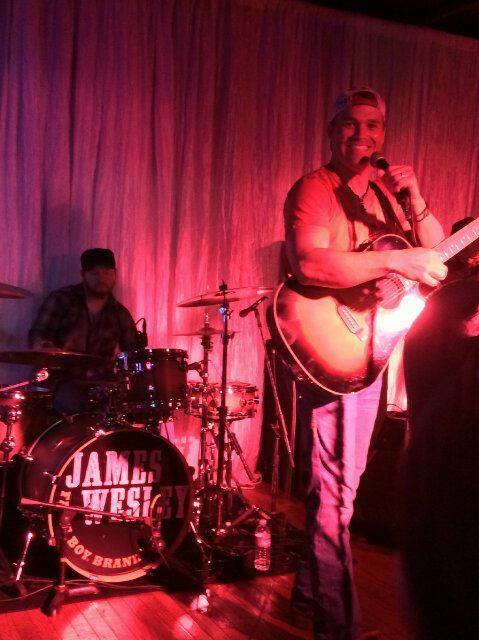 Have you seen James and the band in concert? What did you think? Feel free to leave your comments and thoughts in the comments below! Would love to hear about your similar experiences!